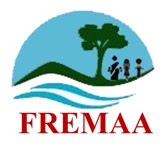 FREMAA Assam Recruitment 2018: Applications are invited from eligible Indian citizens for engagement on contractual basis for the post as mentioned below under the Flood and River Erosion Management Agency of Assam (FREMAA). Period of Contract: One (01) year; extendable based on satisfactory performance. Qualification: Graduate in Commerce/Finance with knowledge of Tally ERP 9.0. Remuneration: Rs.31,000 per month plus allowances as applicable. Job Profile: The incumbent will be responsible for assisting the Subproject Implementation Offices and FREMAA in all accounting and financial matters like, keeping records of all transactions, maintenance of Cash Book manually and in Tally, preparation of BRS, Audit works, preparation and checking of bills, preparation of financial reports for submission to FREMAA, etc. 1. A detailed Resume with proper postal address, contact number and one passport size coloured photograph. 2. Attested copies of all certificates/ marksheets pertaining to Age/ Qualification/ Experience etc. 3. Original Certificates will be verified before engagement. Address for Correspondence: Chief Executive Officer, Flood and River Erosion Management Agency of Assam (FREMAA), 4th Floor, Nayantara Building, Six Mile, G.S. Road. Guwahati-781022. Last Date: 3rd December, 2018.